Wyoming loses as much as $96 million worth of natural gas every year through leaky equipment, and wasteful practices that simply release natural gas into the air or burn it off. That costs the state an additional $8.8 to $16 million in lost revenue to Wyoming taxpayers every year — while releasing dangerous pollution that drives up the climate crisis and puts Wyomingites’ health at risk. So while the federal government in Washington, D.C. moves in the wrong direction, Wyoming has stepped up and proposed extending western Wyoming’s successful limits on dangerous oil & gas pollution to the rest of the state. Take action today, and make sure this proposal is strengthened and finalized. Tell Wyoming's Department of Environmental Quality that the citizens of the Cowboy State are ready for action. I'm writing today in strong support of your recent proposal to extend western Wyoming's successful oil & gas emission-reduction program implemented in 2015 to new and modified wells in the rest of the state. 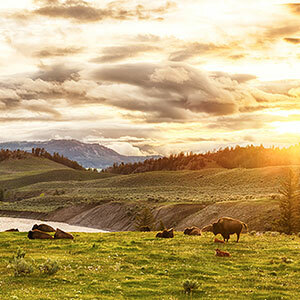 It will help ensure the air in eastern Wyoming (where numerous large new oil and gas development projects are underway) remains clean, and it will help the state's taxpayers recoup the maximum amount of revenue from this development. A recent report has shown that leaky equipment at oil & gas facilities, as well as other forms of natural gas waste like venting and flaring, costs Wyoming as much as $96 million worth of natural gas every year. That means an additional $8.8 to $16 million in lost revenue to Wyoming taxpayers every year. We need swift action to address this problem, and to ensure Wyomingites are protected for generations to come. Please clarify language so that the fate of these new protections is in no way tied to the ever-changing political winds in Washington, enhance the standards for high-emitting pneumatic devices and clarify definitions for what is considered a "modified" facility before finalizing this proposal, to make it as strong as possible. And once it is finalized -- which I strongly support -- please move quickly to reduce emissions from the thousands of existing well sites across Wyoming.